The Farm Bureau family was an early pioneer in citrus fund raising and is still a leader today with new and innovative marketing techniques for your fund raising needs. Our marketing headquarters is located in Leesburg, Florida, which is in the center of the state. 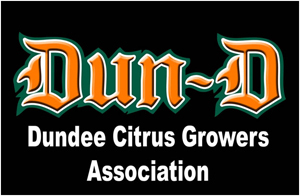 We're conveniently located to all of our citrus shipping facilities and close to our citrus farmers and groves, allowing us to monitor our citrus and other agricultural products from the grove direct to your door. We are the exclusive distributors of brand products, which is our very own brand. Established over 47 years ago, we carry a complete line of fresh citrus and gift packs, along with apples, pears, pineapples, spring strawberries and a large assortment of our own nut products. Florida Farm Bureau is also a national distributor for Jack Link’s Beef Jerky & Meat Snacks, and Neighbors LLC Cookie Dough. One stop shopping for your fund raising program! Let Florida Farm Bureau help you with your fund raising program! You expect and deserve the "best" in quality and personal service; and Farm Bureau delivers!